"[My father] really is the most resilient man in the world. 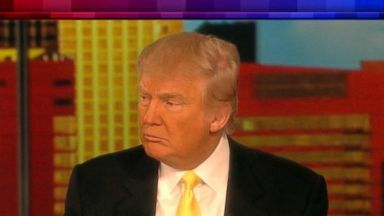 He was fine when he was diagnosed," "The View" co-host said of her father Sen. John McCain. "The View" co-hosts take a look back at our now-president's many visits to the show. 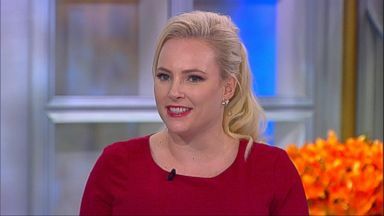 New co-host Meghan McCain announced her engagement on "The View" Thursday. 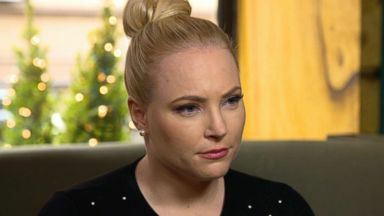 The daughter of Senator John McCain detailed how she met her fiance. 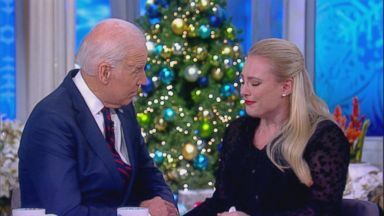 "I couldn't get through your book, I tried," Meghan McCain shared with former Vice President Joe Biden on "The View" on Wednesday. "Your son Beau had the same cancer that my father was diagnosed with six months ago. I think about Beau almost every day." "I wish he would apologize," McCain told ABC News "Nightline" co-anchor Juju Chang. "It's that simple." 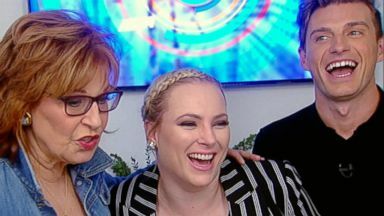 Designer Jeremiah Brent helped "View" co-hosts Joy and Meghan remake each other's dressing rooms.